Essay, The One with . . . This essay is a first-person narrative that is intended to set the scene for the other works in the exhibition The One with Netscape Navigator, the Year 1994, Jordan Catalano, Douglas Coupland, Milton Berle, Pratfalls, Linguists, and Chandler Bing. It provides some background into my thought process and research when developing the works, and talks about “in-between communication” as a way of bringing several different but parallel communities together. 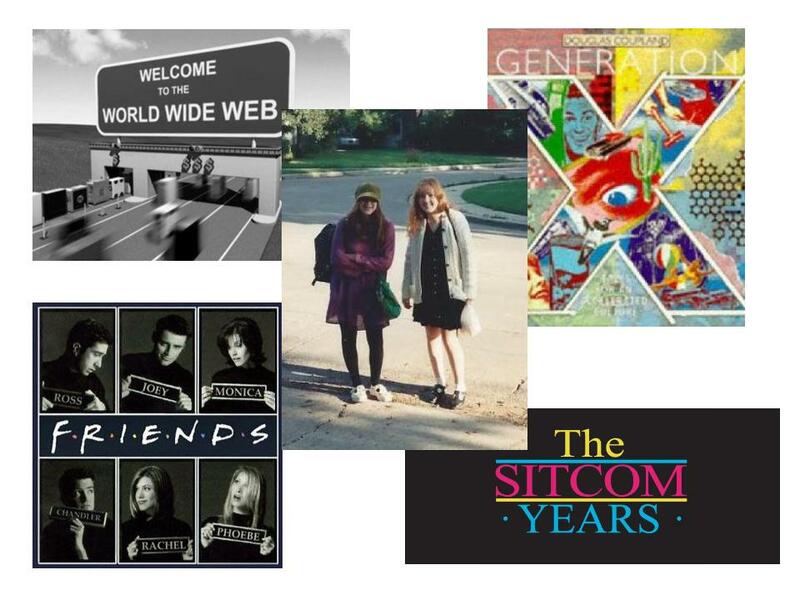 It is these communities—early World Wide Web, teenagers and Generation X—that I believe to have been of great impact to the communication used in Friends.